Gordon Brown's Labour Party suffered its worst electoral performance for at least 40 years in the English and Welsh local elections. Labour had a net loss of 331 seats and their projected share of the vote at 24% was the lowest recorded and left them in third place. Nick Clegg's Lib Dems were in second place with 25% of the vote and made a net gain of 34 councillors, but their share of the vote was down 1% on 2007, when Sir Menzies Campbell was leader, and 4% down on when these seats were fought in 2004. The big winners are undoubtedly the Conservatives. Their share of the vote, 44%, put them 20% ahead of Labour and they gained 256 more councillors. And to cap off what David Cameron called a "big moment" Boris Johnson defeated Ken Livingstone in the London mayoral election. 0002 Ken - who got more votes than he did four years ago - says the fault for losing is "solely my own". 0001 In his victory speech, Boris extends an olive branch - and the hint of job offers - to Ken Livingstone and Brian Paddick and says the result does not show that London has turned into a Tory town overnight. He pledges to make greater London "greater still," adding: "Let's get cracking tomorrow and let's have a drink tonight!" 2356 Boris wins with 1,168,738 first and second preference votes to Ken's 1,028,966. 2344 The announcement will take place "shortly," an official says. 2335 All but one of the results are in and Boris is ahead on constituencies by seven to six. 2332 A declaration is expected soon, we are told. 2329 Elections expert Peter Kelner, on BBC London, predicts the final result will be eight constituencies to Boris, six to Ken - mirroring the assembly vote. There are four constituencies left to declare. 2318 It's still neck-and-neck in terms of constituencies, with Ken winning in five to Boris's four in those declared so far. But where Boris has won it has usually been by a much bigger margin - in West Central, for example, he won 91,550 vote, or 54.8%, to Ken's 47,705, or 28%. 2259 Brian Paddick has been seriously squeezed in first preference votes - gaining more than 10% of the vote in just one of the six constituencies announced so far. 2241 Boris gained 60% of first preference votes in Bexley and Bromley to Ken's 20%. 2229 With counting over in many constituencies, the first results are coming through in the mayoral race. Ken Livingstone had just over 50% of the first preference votes in the Labour stronghold of City and East to 26.48% for Boris Johnson and 6.78% for Brian Paddick, who beat the BNP candidate Richard Barnbrook by a narrow margin. Barnbrook got 5.45% of the vote. Livingstone also won convincingly in North East London, with 48.60% of the vote. 2221 Liberal Democrat mayoral candidate Brian Paddick tells the BBC he voted for the Left List's Lindsey German with his second preference vote: "I looked at which candidate was most in tune with the sort of policies that I wanted, who was the most in favour of having better, more affordable housing in London - in terms of council housing and so forth. And I voted for the Left List." 2206 Could Ken Livingstone gain his biggest vote ever and still lose? It's possible, apparently, such is the size of the turnout. It is also possible that Boris Johnson could win on first preference votes alone, according to the Evening Standard. 2202 The London Assembly results are now flowing in - early results suggest a 5.69% increase in the Tory vote in the six seats declared so far. The first-past the post constituency results for Bexley and Bromley and Havering and Redbridge have shown 12 and 13-point swings to the Tories. But Labour's tally in both seats fell by less than 1%, and the party has retained the City and East seat. 2139 Ken's campaign manager Tessa Jowell comes close to admitting it's all over. She tells the BBC: "I think it's highly unlikely that Ken will be Mayor of London after the end of this evening but I think that if you look at Labour's vote in the Assembly there are some unexpected surprises there that demonstrate the loyalty of the Labour vote and the impact of this very high turnout and the impact of a really fantastic campaign by the Labour party." The Evening Standard - which Livingstone has attacked for what he claims is it's one-sided coverage of the contest - has already called it for Boris in its final decision, declaring him the winner. 2040 The Conservatives' former London mayoral candidate Steve Norris tells the BBC Labour is a "toxic brand" and Mr Livingstone was more closely associated with the party than he had been in the 2004 elections. He adds: "This is not the Ken I fought four years ago." 2030 Tottenham's Labour MP David Lammy says he thinks Ken Livingstone still has a chance to win: "I don't know if I'm the only politician left, but I think let's see where the second preferences go." But he adds "clearly it's very close and there's a large chance that Boris Johnson has indeed won". 2020 Former Labour cabinet minister Tony Benn says the results are a "verdict on Blairism". "For ten years we've been told 'leave everything to the market. Borrow on the value of your house. You'll be all right. Don't worry, privatisation will solve the problem.' And I think the credit crunch has been a sort of economic 9-11. It's changed everything. And a lot of people are really frightened now ... I think that's really what we ought to understand, because when people are frightened they always move to the right." 1930 BBC Political Editor Nick Robinson says that the London mayoral result declaration has been put back to midnight. 1915 Chief Secretary to the Treasury Yvette Cooper tells Channel 4 News the 10p tax and the tight economic situation had an effect. But pressed repeatedly to give some examples of what the party had done wrong - she said: "We're in a mid term, after 11 years people will ask about all sorts of things affecting their lives." Pressed again she said Labour had to do more for families without children. Asked if there was a "Gordon Brown problem" - she said he would be an important part of "dealing with the global economic pressures we face". 1830 It looks like a long evening is in store for those waiting on the London mayoral result - the organisers London Elect have now confirmed the result will not be before 10pm. That rather vague "not before" is as good an estimate as they give. Talk at the count puts the likely declaration as late as midnight. 1800 BBC political reporter Robin Chrystal points out that some religious calendars indicate that 2 May is St Boris's Day. The Bulgarian and Greek Orthodox Calendar of Saints has it as his feast day - although the Russian Orthodox Church plumps for 15 May. Apparently St Boris was the pagan ruler of Bulgaria - Boris I - in the 9th Century. According to some sources his conversion to Christianity met great opposition in Bulgaria. Boris ruthlessly suppressed it and executed 52 boyars together with their entire families. He ended his life as a monk. 1620 Liberal Democrat leader Nick Clegg is cheered as he arrives in Sheffield - the city he represents in Parliament, and where his party have taken control of the council. He admits that Lib Dem gains have owed much to disillusionment with Labour. "It's push and pull in politics," he says. 1600 With 40% of votes counted in London Boris Johnson is ahead on first preference votes in 9 out of the 14 London assembly regions. There is no indication yet of where people's second preferences are going. They of course are likely to prove crucial if Johnson fails to get more than 50% of first preferences. The latest estimate for a result is about 8pm. 1520 A rare glimmer of sunshine for Labour: the party's councillors win power in Slough, previously under no overall control. 1510 With 148 out of 159 councils now declared, it is clear that last night was truly dire for Gordon Brown. Labour has lost 293 seats, the party's 24% share of the vote its worst poll showing for at least 40 years. David Cameron has called the Conservatives' projected 44% a "big moment". Nick Clegg has said the Lib Dems are regaining momentum. 1423 Senior Labour MP Ian Gibson said Mr Brown had six months - up to the party conference - to change his policies and move the party forward or risk losing the next general election. 1409 The BBC's Jon Sopel says in places where Ken Livingstone won on first preference votes in 2004 - like Camden, Barnet and Haringey, he is "not doing so" this time round. It appears Mr Johnson has the edge in the outer London boroughs. It appears that Mr Johnson is ahead in 9 London regions, with Mr Livingstone ahead in 5. 1359 The BBC's Carole Walker gives her verdict on how serious the situation is for the prime minister. She recalls that he said the real test of a leader was when times are tough. And on that basis he faces very testing times. The BBC's James Landale at London's City Hall says, with 22% of votes counted, Boris Johnson is ahead in 10 of London's election regions, while Ken Livingstone is ahead in four regions. 1246 The people running the London elections say about 2.4m Londoners voted - a turnout of about 45%. They say about 22% of votes had been counted in the four hours to 12.30pm. At that rate a result might not come until the early hours on Saturday, but a speeding up of counting is obviously expected as the official estimate for a declaration is now 8.30pm. 1240 Conservative mayoral candidate Boris Johnson tells the BBC he has "not a clue" how he has done: "I think the party's done fantastically nationally but London is a very different kettle of fish and we'll have to see what happens." 1235 Under the big banner headline 'Bloodbath for Brown', London's Evening Standard has the sub-heading 'But someone seems very cheerful' and a picture of a smiling Tony Blair. Mr Blair has been taking part in talks between the Quartet of major powers mediating in the Middle East. 1230 It's a busy day for the leaders of the opposition parties, with David Cameron and Nick Clegg criss-crossing the country to celebrate their gains. Mr Cameron has visited Barry, Nuneaton, and plans to arrive in North Shields this afternoon, while Nick Clegg has visited St Albans before heading to Hull. Meanwhile Gordon Brown, who has rather fewer places to wins to celebrate, decides it's business as usual in Downing Street. The BBC's World at One presenter Martha Kearney says Labour's unpopularity nationally had a deep impact on the local results, particularly the policy of abolishing the ten pence tax band which caused so many Labour MPs to threaten a revolt. "Gordon Brown acknowledged this week the policy had been a mistake and promised to listen in the future. That hasn't been his strongest suit in the past," she said. 1200 The Tories have gained control of Redditch - an embarrassing result for Labour as it Home Secretary Jacqui Smith's backyard. The Lib Dems have gained Burnley and Labour has lost control of Wolverhampton. 1149 Results have begun to flood in again from councils who started their counts on Friday morning. And the picture continues to look bleak for Labour as it is confirmed they have lost control of Reading, which had been one of only a handful of Labour councils outside London in the south of England. 1130 The Conservatives have captured North Tyneside. Together with the capture of Bury, the party has made the iconic gains it wanted in the north of England to demonstrate that its advance has occurred across the length and breadth of England. 1108 Labour have now lost a third seat in Reading. It is now looks like this rare example of a Labour-controlled council in the south of England will now fall. 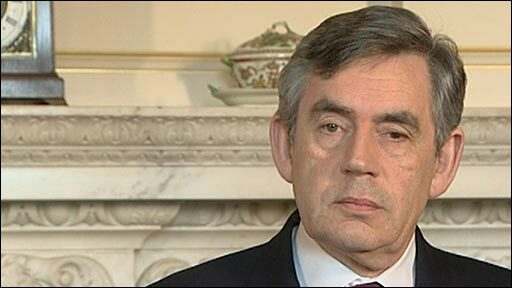 1010 Gordon Brown describes the results as a "disappointing and bad night" for Labour. He said there are "lessons to be learned" and the party will move forward. He promised to listen to electors, saying: "My job is to listen and to lead and that is what I will do." David Cameron travels to Barry to celebrate the Tories' success in Wales. He tells supporters the party is now right back in contention in the country. Referring to the fact the BBC series Gavin and Stacey (pictured right) is filmed in the town he said it was a "tidy" day for Wales, then asked "what's occurring?" outside a tea room. 0830 The counting of votes begins in the London mayoral election in three centres - Alexandra Palace, Excel and Olympia. The new mayor will be announced from City Hall on Friday evening. 0820 Labour Deputy Leader Harriet Harman told BBC Radio 4's Today programme the results are "very disappointing indeed". "What we've got to do is be more focused on listening to people and more in touch." 0810 BBC political editor Nick Robinson says that, although counting has yet to begin in London, the local results elsewhere make it look like Boris Johnson will win the London mayoral election. 0750 A quick recap: The BBC's projected national share of the vote says the Conservatives will have 44%, the Liberal Democrats 25% with Labour in third place on 24%. That is the worst such result recorded by Labour. It translates into 162 councillors lost by Labour and 147 gained by the Conservatives. The Lib Dems have gained 9 and Plaid Cymru 8. 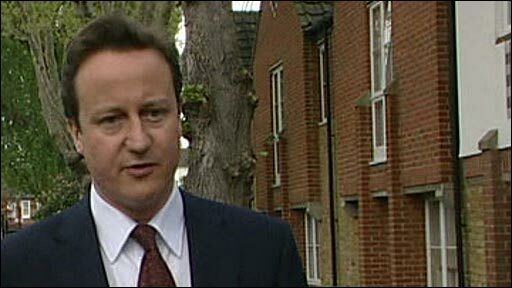 0740 Conservative leader David Cameron gives his first reaction telling reporters outside his London home it is a "big moment" and says it is a positive vote for the Conservatives rather than just an anti-Labour vote. He pays tribute to Boris Johnson's campaign for London mayor and says a win for him would be "enormously important". 0715 Deputy Labour leader Harriet Harman appears on BBC Breakfast: "Well I think that we all think these are disappointing results and we recognise the difficult economic context with people feeling the pinch. We recognise too, the part that the 10p tax rate change has played in that. But I think that we're determined to listen and confident to take the country forward. And we do expect that there will be more scrutiny on the Tories' policies and I think that the shallowness and the hollowness of them will be exposed." 0650 Lib Dem leader Nick Clegg salutes his party's performance, telling BBC Breakfast: "We were 13% a few months ago, we're now 25%. We've over-taken Labour, we've taken seats off the Conservatives, we've taken seats off Labour... If you call that a disappointment then we inhabit different planets. I am actually delighted, we are regaining momentum." 0618 It looks like Labour deputy leader Harriet Harman has drawn the short straw - she is down to do the 8.10 interview on the Today programme, explaining the night's results. Analysis: How bad for Brown? 0430 It's safe to say - at this stage of the night - that this represents the best Conservative performance in local elections since 1992, while Labour's performance is its worst since at least the late 1960s. John Curtice says it is almost a mirror image of the outcome in 1995, when Labour's projected national share was 46% and the Conservatives' share 25%. That result, he adds, was followed by defeat for the Conservatives in the 1997 general election. 0427 Labour lose control of Blaenau Gwent to Independents. 0426 There's a recount in two seats in Barrow-in-Furness (the Tories are the largest party. The Socialist People's Party of Furness have nicked four seats from Labour). Counting starts again at noon. 0415 In the battle between the two halves of what was Respect, the faction that kept the name appears to have the upper hand. In the tiny number of wards fought by either Respect or Left List candidates, Respect have achieved the better performance. Respect MP George Galloway will be pleased. 0400 Time for a look at Webcameron. The Tory leader and shadow chancellor are watching events unfold from Tory HQ. Mr Cameron says the Bury win was "vital". 0345 If any Labour MPs are still awake and looking for proof of the damage done by the 10p tax row, this could be it. According to John Curtice's analysis, the party's vote seems to have fallen most heavily in its heartlands. In those wards where it won more than 45% of the vote last year, its vote is down by five points compared with three points across the key wards as a whole. 0335 Support for the Greens and the BNP has clearly flat-lined this year as compared with last year. In 248 key wards fought by the Greens, their average vote is 8% and is down by a half point on average where they also fought the ward last year. In 155 key wards fought by the BNP, their average vote is 11% and is unchanged from last year. Meanwhile, UKIP are averaging 7% in 141 key wards fought this year, up one point on last year. 0325 138. That would be the Tory majority if tonight's vote was repeated at a general election. It's not a perfect read-across, as there are no elections in Scotland and many parts of England. But it will cause hearts to flutter at Tory HQ. 0318 This will be music to David Cameron's ears: John Curtice thinks tonight's results may show that the Tories have finally escaped from the shadow of Black Wednesday. 0301 Things are not looking good for Ken Livingstone. Even Polly Toynbee - one of his most vocal supporters in the media - admits it would be a major upset now if he won in London, given Labour's performance nationally. 0256 Not everywhere is turning blue. The Conservatives still only have one councillor on Manchester City Council after failing to win any seats. 0252 Veteran Labour MP Austin Mitchell has a much simpler solution to his party's woes: "Is suicide a suitable way out?" 0240 As the scale of Labour's drubbing starts to sink in, one thing Gordon Brown won't be short of his advice, much of it conflicting. Charles Clarke, the former home secretary, reckons victory at the next general election is "possible" but will "require changes", telling the party leadership: "You've got to get your act together". John McDonnell, from the opposite end of the Labour spectrum, says: "Without a radical change of direction, we are witnessing a Labour government slipping away." Not presumably the same changes the Blairite Mr Clarke has in mind. 0238 Will the future be like the past? Now that the flow of results has slowed - and we have passed the halfway mark - it is time to reflect on such lofty matters as tactical voting. Anthony King believes Lib Dem supporters are far less inclined to vote Labour than they used to be in areas where their party's candidate has no chance, but it hasn't been picked up in the opinion polls yet. Bad news for Labour, he believes. 0225 Liverpool update: The Lib Dems have retained control after all - after looking like they were about to lose their grip on power there after a decade. They have lost three seats while Labour gained three, but at the last minute the Lib Dems were joined by Independent Labour councillor Nadia Stewart, therefore restoring its overall majority in the city council by a margin of 46-44. 0222 Trust Michael Portillo. Just as the Tory leadership was putting the champagne on ice, he says their performance tonight is not quite good enough to win a general election. It is, however, a terrible night for Labour, he adds. 0219 Fun and games in Liverpool where the Lib Dems have lost to no overall control - but not before three recounts. 0156 "There is no crisis," says Labour's chief whip Geoff Hoon. 0142 The Conservatives take control in Bury - one of their key northern targets. It really is starting to look like a spectacular night for them. 0140 Early results in Wales suggest the tide is "turning strongly" against Labour, says First Minister Rhodri Morgan. 0138 Old councillor watch: James Caunce, 89, who's been a councillor for 57 years, has held onto his seat in Haydock Ward in St Helens. 0137 Young councillor watch: Eighteen-year-old student David Fuller wins seat for Tories in Southampton. 0124 Skills secretary and Southampton Itchen MP John Denham has just given his reaction to the Conservatives' most spectacular gain of the night so far, in his own city. Don't panic is essentially his message to the party. "We have to show we have listened to people through difficult times and come back and win the next election." 0118 Labour loses control in Hartlepool to no overall control. On the figures in so far it looks as though they will struggle to keep Reading and thus will lose all of the key councils in England in which they were most vulnerable. Grim times indeed for Mr Brown. 0110 "Nobody is going to pretend this is our greatest night," says Olympics Minister Tessa Jowell. Is this the start of operation spin the bad news? 0108 David Dimbleby has been crunching the numbers and reckons the Conservatives now control more councils than Labour did at its mid-90s peak - 207. 0106 Friday's newspapers are banking on a bloodbath for Gordon Brown and Labour. "Gordon Brown was poised last night to rush out a panic barrage of measures to divert attention from a Labour meltdown," says the Independent. "Smashed in the Ballots," adds the FT which says Mr Brown is going to "rebrand" the party. 0102 The BNP just miss out to Labour in a seat they were hoping to win in Thurrock. 0057 The Conservatives gain Wyre Forest from no overall control. Labour hangs on to Sunderland. Analyst John Curtice says: It is beginning to look quite likely that the Conservatives have performed better than they did last year, while Labour may be heading for an even worse performance than in 2004. Whether the Lib Dems will end up a little weaker than last year remains uncertain. 0045 The Conservative gain of Southampton Council is a "sensational" result for the party, polling expert Tony King says. 0029 Rat news: Oxford academic Dr Frances Kennett who claimed that fortnightly bin collections had led to an infestation of rodents has lost her bid to become a Conservative councillor. She was taken to court by the council after she withheld part of her council tax over the matter. 0024 Tory councillor Godfrey Olson has been re-elected in Eastleigh - he has been a councillor there since 1955. 0022 Sunderland is going blue (ish) - The Tories have gained five seats in this classic Labour heartland. 0021 If Boris wins in London the Tory leadership will be "holding its breath for the next four years" in case he turns out to be an "embarrassment," Michael Portillo (ex-Tory minister) tells Emily Maitlis. Ouch. 0018 Conservatives have taken hold in Harlow. They have gained six seats - with one more result to come in. 0014: The Lib Dems have taken control of Hull City Council, gaining 5 seats, from no overall control. Who says they are in for a grim night? 0012 Happy days for the Tories in Wyre Forest - they have already picked up three seats and just need one more to take overall control. But they have failed to take Worcester, which remains under no overall control. 0007 Conservative Joel Charles, aged 22, has won a seat in Harlow from Labour. That makes him at least 20 years younger than the average local councillor! With 70 key wards now declared, it continues to look as though it will be a relatively good night for the Tories, and a bad night for the Lib Dems, while Labour can look forward to at best doing much as it did in 2004 and 2007. 0001 Initial results from key wards where the BNP are standing (mostly in Sunderland so far) suggest that the party is not running as strongly as it did in 2004. Nevertheless, they still managed to average 14% in wards declared so far in wards where they are standing. 2351 Labour fears it could lose its majority in Blaenau Gwent, partly because of defections to independents. Local independent MP Dai Davies told ITV Wales: "Certainly the 10p tax rate has been a big issue. Locally, primarily, I think it has been about wasting money. At the moment there are regeneration programmes that nobody has really seen the benefit of." 2348 Nick Robinson has been told there was a huge turnout in parts of London - higher than in a general election in some outlying areas such as Bexley. This could play into Boris's hands, although there was also a big turnout in Ken-loving Hackney. 2335 Results are starting to trickle in now. The first two dozen key wards suggest that the Tories are more likely to have something to cheer about tonight than either Labour or the Lib Dems. But it is still very early in the night and inevitably there are many contradictory local patterns. 2321 The first full council result is in! The Conservatives successfully defended Tamworth in Staffordshire, taking one seat from Labour. 2318 The game of expectation management is already well underway, with the first results expected any minute. Tory frontbencher Chris Grayling told Newsnight a few minutes ago: "The expectation that somehow we're going to romp off to get 45% of the vote is unrealistic." 2317 Boris has won in London! That's what the Tory supporting Conservative home website reckons, anyway. A brave call, given that counting has not even started. The site bases its prediction "patterns of turnout, postal votes and canvass returns". 2315 Hot news from Portsmouth: The returning officer says Lib Dem Alex Bentley, a councillor in Milton, does not look too happy. It looks like he could lose his seat. You read it here first! 2230 No exit poll from the BBC tonight - but there is an ICM survey on the state of the main parties. It makes fairly grim reading for Gordon Brown. More than half of the people surveyed said Mr Brown is a "liability" to his party (this compares to less than 50% for Tony Blair). His reputation for economic competence has also taken a knock, the survey suggests - although only 36% say they trust the Conservatives to run the economy. Here is how our elections guru, Professor John Curtice, reads the findings: "Gordon Brown's reputation for competence and toughness has taken a sharp knock over the last 12 months. Meanwhile, although David Cameron is now more likely to be regarded as competent than is the prime minister, he is also increasingly seen as arrogant." 2200 BST The polls close and the counting begins. We are expecting results to start coming in around 2330 BST. A look at the colourful life and times of London's new mayor, Boris Johnson. Analysis: Rise of the BNP?